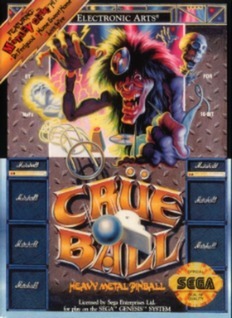 Crüe Ball: Heavy Metal Pinball (Sega Genesis, 1992) Cartridge Only! Crue Ball Sega Genesis Original Authentic Video Game! Crue Ball Heavy Metal Pinball (Sega Genesis, 1992) FAST SHIPPING!